The idea to clean your keyboard to keep it clean and in original good looking form must be comes at least once in your mind. But don’t worry anymore, because yesterday Logitech a global provider of computer accessories launched a new k310 keyboard with multiple holes in its design. The purpose of these holes is to give a proper pass way to water or a liquid in case of comes in contact with water or any liquid. Now it will be pretty easy to clean your keyboard after Logitech k310 product. Fingers are on the top source in transferring germs. So, after usage of sometimes your keyboard body start looking dirty (and it will be more visible if it has a white or light color body) and it is proved from research that germ wise your keyboard is sometimes 5 times more dirtier than your toilet seat, or sometimes accidently tea, coffee or liquid or food goes down and make it necessary to clean first. 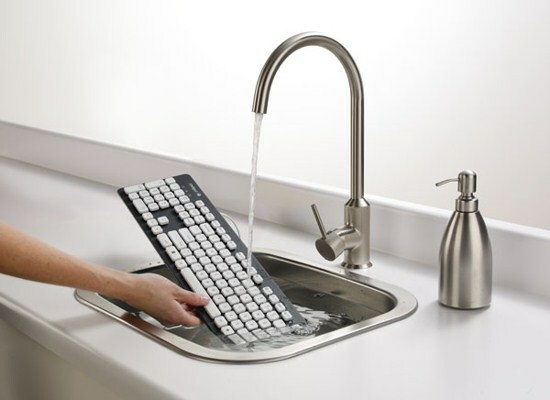 So, in such scenario don’t be nervous and the answer of your question how to clean it is just pick your k310 keyboard and put it under taps water or dip in bucket up to 11 inches or 280 mm (according to Logitech). You can also use small brush for cleaning purpose like tooth brush but with light hand. So, when you think germs and bacteria’s are removed and now its start looking again as a new one then take it out from water and all of the water itself drain out from holes and it will dry quickly and ready to start working properly. That’s the only reason that it is known as Logitech Washable keyboard k310. 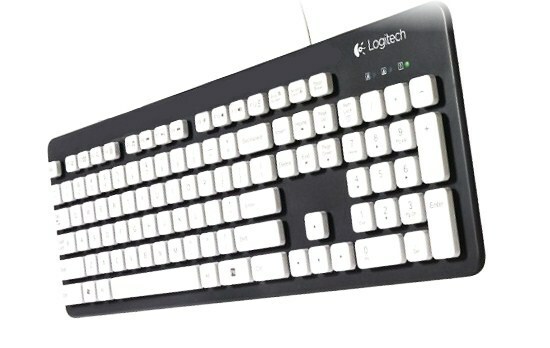 Price of Logitech Washable keyboard is only 35 GBP, in USD it is only $$56 and for Pakistan and India its price is 5500 and 3100 Rupees respectively. Here is a very nice gadget. Washable computer hardware that everybody wants. Liked it very must. Thanks for sharing it!